DETROIT—As protesters gathered outside the Detroit Athletic Club March 8, Michigan Governor Rick Snyder declared inside that he will appoint a Detroit EFM immediately after an appeals hearing by the Detroit City Council, set for March 12, 2013 in front of the state’s chief deputy treasurer. Protesters from Rainbow PUSH and other organizations chanted, “Tricky Ricky, you can’t hide, we can see your greedy side,” according to the Detroit News. The facts, ma’am, just the facts, says Snyder. “141.1217 Appeal; setting aside determination. City Council members Brenda Jones, Kenneth Cockrel, Jr. and Saunteel Jenkins during session March 4. 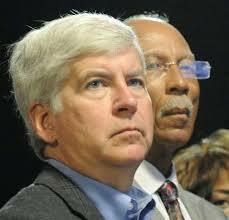 The Council voted 7-1 to appeal Snyder;’s determination of a financial emergency in Detroit. If Snyder rejects that appeal, they can go to Circuit Court. Whether the City Council’s attorneys will take this matter to court remains to be seen, but advocates of self-determination for Detroit are certain to press for court action. “141.1218 Assigning responsibility for managing local government financial emergency; appointment, qualifications, and term of emergency financial manager; compensation and expenses; staff and professional assistance. 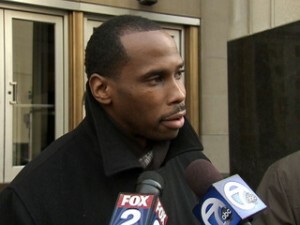 Robert Davis has sued to stop Snyder selection of Detroit EFM. Highland Park School Board member and labor activist Robert Davis has filed suit in Ingham County Circuit Court challenging Snyder’s right to interview candidates for an emergency financial manager, saying that this must be done by the “emergency financial loan board” cited in PA 72 above, and that proceedings must be done at a public hearing. A hearing on his suit is scheduled for Thurs. Oct. 14 in Ingham County Court. LARA acting director Steve Arwood. “141.932 Local emergency financial assistance loan board; creation; membership; powers and duties; approval of actions; conducting business at public meeting; staff services. DMTB Director John E. Nixon. So, the board should consist of State Treasurer Andy Dillon, acting independently of the department of treasury, the acting director of LARA, Steve Arwood, and the director of DTMB, John E. Nixon. Not that these Snyder appointees will disobey the orders of their commander-in-chief, but there is a PROCEDURE spelled out in Public Act 72 for the appointment of an EFM. And PA 72 is invalid according to the state itself. 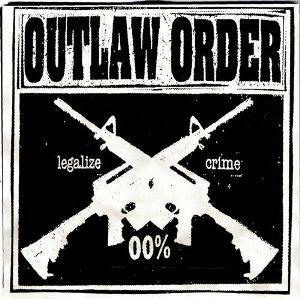 So Michigan is outlaw territory. Synder gives a new meaning to tricky – as long as he think Detroiter’ s are not informed, he will continue to pull the same actions. The council must engage aggressive council either in house or outside, we do not have time for mediocre representation.